My first reaction is that this victory was important at any cost. Because psychologically, you cannot put a price on all that was accomplished: a solid defeat of a team that were above us on the table, our third victory in a row, and a convincing performance, amongst other accomplishments. It was a culmination of all of the hard work and the adversity and criticism from absolutely everyone for so long now. I like to believe that the bench are ready to step in and step up and play in the same way. But then I remembered what our bench looked like this summer, and the vast chasm that separated the skill level of our starters vs. out bench players. Especially in our midfield. Bertolacci is ruled out for Saturday with a tear of a thigh muscle. I have yet to hear about how Montolivo’s scans went as of this writing, but he also seemed to have some kind of muscle injury. Alex’s scans after being knocked unconscious were reportedly fine, but with the emphasis on proper care for head traumas, it would be very surprising (and also very negligent) for him to play on Saturday. Bonaventura, easily MOTM on Sunday, received his fifth yellow card of the season, so will sit out Saturday as well. And as if the in-game losses weren’t enough, it was revealed today that Diego Lopez has been suffering with a knee problem for some time now, and won’t be able to play for a while in order to clear it up. "How do I find consistency with so many starters missing?" That is four starters likely out, plus a recent starter out for a goodly period of time. In addition to the injuries we were already carrying. I feel like we have options at center back – Ely, Zapata, or Mexes could step in, and none of those options would keep me up at night. But losing three midfielders all at once is definitely going to keep me up. 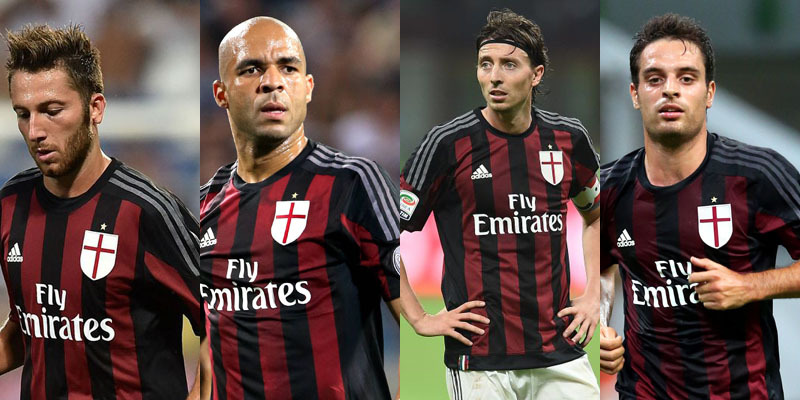 I’m almost excited to see De Jong should Montolivo not be fit. But we would replace Bertolacci I guess with Poli, which leaves slim pickings to replace Bonaventura. I mean can you replace Bonaventura? I suppose Miahjlovic might try Honda on that side, but I don’t remember if he’s even played there for us. And as much as I love him, he is a very different kind of player to Bonaventura. There’s also Nocerino… which actually isn’t as frightening as it sounds when you think of how well suited he is to the long balls Montolivo is so fond of playing. But not in the attacking three, so then do you put Poli there? 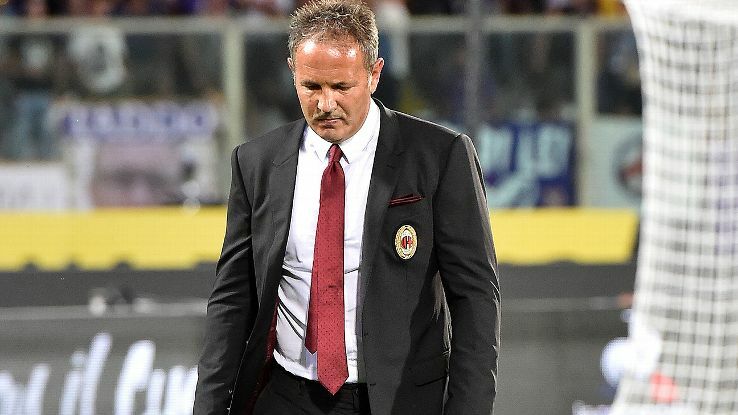 I’m guessing Mihajlovic isn’t getting a lot of sleep between now and Atalanta, either. If Milan can pull off just one more win, that puts us in great shape psychologically heading into the international break. We’ve handicapped ourselves heavily with this rash of injuries and suspension all in one game, but if we take the psychological momentum we gained from the win and also the home advantage, we may just be able to pull it off. Then we can evaluate fitness levels and worry about Juventus after the break. Will we suffer the price of victory? I guess we’ll find out on Saturday.